The Gadsden flag, designed by and named for American general and statesman Christopher Gadsden is a historical American flag with a yellow field depicting a rattlesnake coiled and ready to strike. 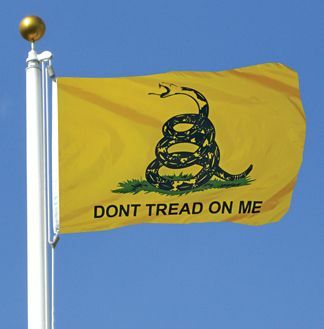 Below the snake are the words: "Don't Tread On Me." The flag was used by The United States Marine Corps as an early motto flag.